The War Office purchased the Stobs Estate which sits just south of Hawick in 1902. On its rolling 3,614 acres, their aim was have a permanent training base and barracks for one of the Army Corps. A party of the 17th Lancers arrived at the camp in late March, 1903, to ‘make a surveying tour’ of the camp. 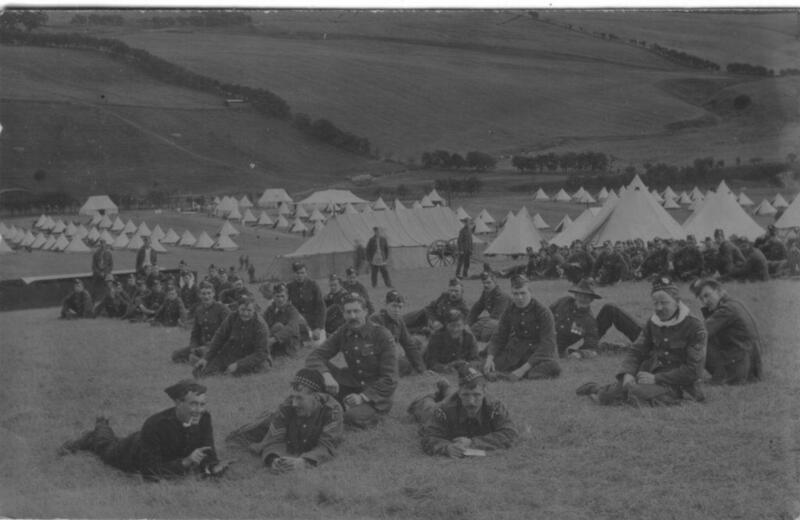 The first troops began their training at Stobs in the summer of 1903 and by the end of July, over 20,000 men had used the facilities. The troops arriving were from the many volunteer units throughout the country, which before the Haldane Reforms of 1908, were the forerunners of the Territorial Army. 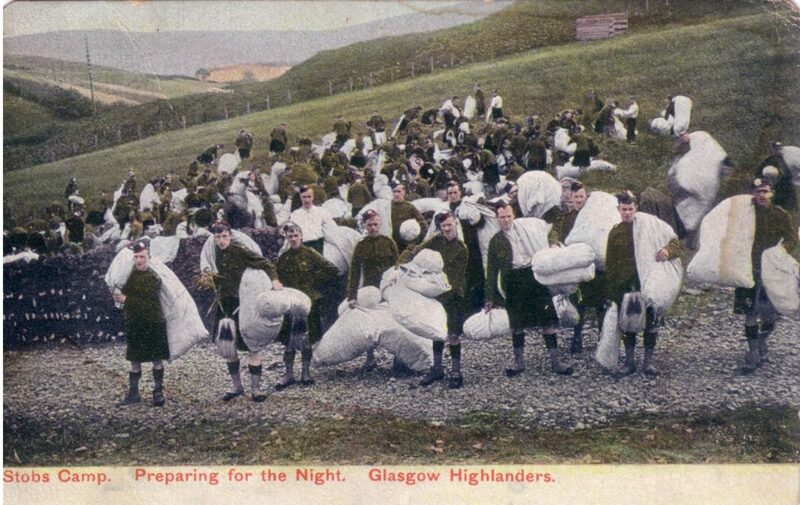 At Stobs, they would do their annual fortnight of training. 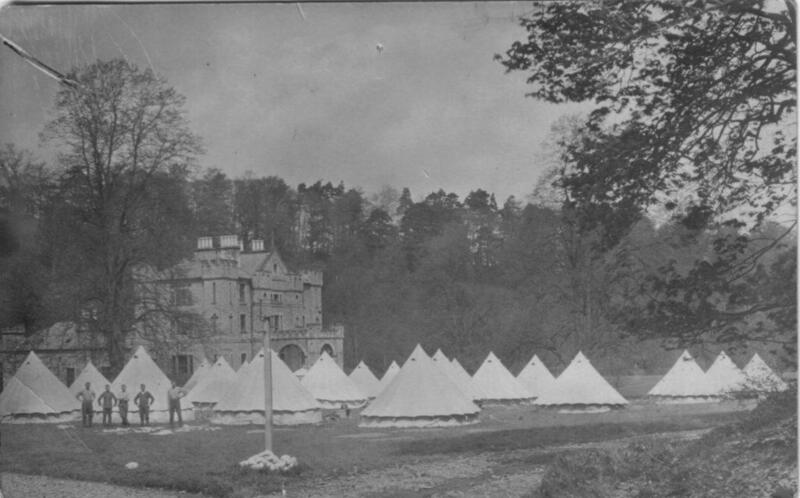 The monthly Army returns record the first Regular troops at the camp in June 1903. These were the permanent base staff, comprising 80 men of the Army Service Corps and one RAMC medical orderly. 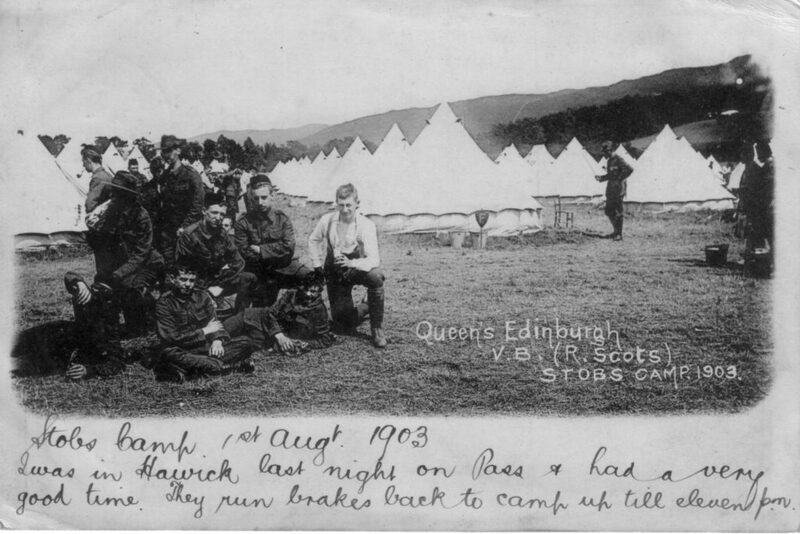 The first visiting troops are recorded in the camp in early June, with a ‘fully equipped post office’ expected to be operational by the end of the month. Most of the men had arrived by train, the North British Railway announcing the opening on 14 June, 1903, of a new signal box at Stobs Camp and setting out the instructions for the safe working of the line. A smaller gauge track, powered by horses, was laid right up into the camp itself. Several new buildings were erected such as an Officers’ mess and Y.M.C.A. Institutes, huts near Barns and corrugated iron shelters at the ranges. 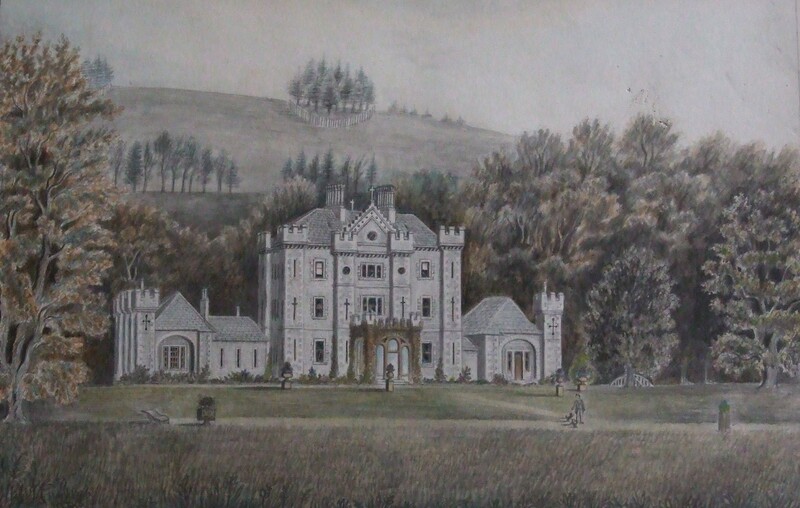 Officers were thought to have been billeted at Stobs Castle. However, the Army Corps Scheme was cancelled soon after Stobs was opened and a debate in the House of Commons in April, 1904, included mention of the stopping of construction of infantry barracks at Salisbury Plain and also ‘at Stobs in Scotland’. The original purpose of Stobs, as a more permanent Army facility, was being superseded for that of a summer time training camp only.